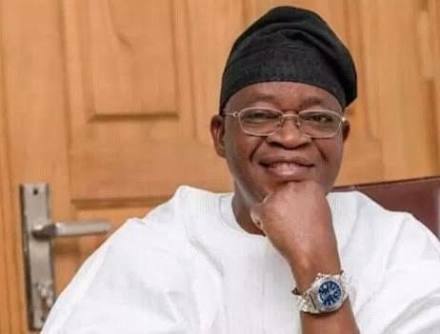 A chieftain of the All Progressives Congress, Dr. Ismail Abiodun Saka-Layonu SAN has congratulated the Governor Elect in the just concluded gubernatorial election in the State of Osun, Alhaji Gboyega Oyetola. Dr. Ismail SAN expressed his felicitations to Alhaji Oyetola at his hometown, Ede, on Friday while reacting to the outcome of Thursday's rerun or supplementary election in Osun. According to the law expert, he described Oyetola's emergence as an indicator of the masses' belief in our party, APC, saying it is the only party committed to real development across board. Saka-Layonu SAN explained that Osun people voted for the APC because they were conscious of their future, having enjoyed dividends of democracy through the administration of the outgoing governor, Ogbeni Rauf Aregbesola. He said, "This victory is for democracy because the best candidate has just emerged. Alhaji Oyetola is a prepared leader who by the grace of God will deliver on the manifesto of our great party." "I want to assure our people that what they've enjoyed and still enjoying in the administration of Ogbeni Aregbesola won't stop. It 'll be multiplied by the Gboyega Oyetola led administration." "I sincerely thank the good people of Osun for believing in us. I'm assuring them all that their expectations for a government of the people will be met."